The laboratory "Aggregates, Interfaces and Materials for Energy" (http://www.aime.icgm.fr/), led by Jerzy Jazac, Professor at Université de Montpellier (UM) belongs to the Department Solid-State Chemistry and Divided Matter (led by Dr Deborah Jones, full senior research scientist at CNRS) within the Institute Charles Gerhardt, a CNRS-UM joint research unit, labelled as a Carnot Institute by the French Ministry of Research in recognition of its very high level of collaborative research with industry. Its fuel cells and hydrogen research programme has been developed over the past 25 years and the Fuel Cells group currently comprises 9 staff members and 10 post-docs and doctoral students. It has a strong international reputation for its contributions to the field of proton conducting membrane development, modification and characterisation, and has pioneered development of polymer membrane materials for use in the intermediate and high temperature ranges and, more recently, on corrosion-resistant supports with novel architectures and on non-PGM ORR catalysts. 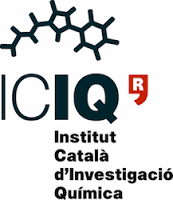 The Institute of Chemical Research of Catalonia (ICIQ) (http://www.iciq.org/) is a non-profit research organization, whose creation was promoted by the Catalan Government with support from the European Union and industrial partners (e.g. Repsol, Bayer). ICIQ’s mission is to strengthen the competitiveness of the chemical industry in Southern Europe through innovation and technical improvement. ICIQ is designed to house over 150 scientists, working in 20 state of the art laboratories. These scientists will belong to independent research groups, each of them run by a group leader. The Institute started its operations in January 2004 and currently houses twenty research groups in various areas of supramolecular chemistry, catalysis, molecular photovoltaics and computational modeling. ICIQ is strategically located in Tarragona where there is a high concentration of chemical companies (one of the largest in southern Europe). ICIQ has already established formal agreements with companies with presence in the area such as Repsol-YPF and Bayer. ICIQ contributes to WP3 through the synthesis and characterization of a range of PGM-free oxide catalysts for the oxygen evolution and oxygen reduction reaction (OER-ORR) and to WP5 through deposition methods on non-carbon conductive supports for forming the anode of electrolyzer or the positive electrode of reversible fuel cells. Aalto University (http://www.aalto.fi/) was founded in 2010 when Helsinki University of Technology (founded in 1849), the Helsinki School of Economics and the University of Art and Design Helsinki were merged together. Aalto University is a multidisciplinary university where science and art meet technology and business. The School of Chemical Technology at Aalto, where Prof. Kallio’s group is contributing, combines natural sciences and engineering in a unique way. This allows the results of our research to be refined a long way and put into practice as ready products and processes. Each innovation secures both our renewable and non-renewable natural resources for the future. The School provides education for a wide range of responsible future professionals. M.Sc. and D.Sc. graduates in technology work in diverse positions in Finland's largest industrial sectors, in the metal and electronics industry, wood processing industries as well as chemical, pharmaceutical, biotechnology and food industries. The research and teaching are supported by an extensive international academic and industrial cooperation network. Aalto University leads WP3 and contributes to WP3 with the synthesis and characterization of CRM-free catalysts based on carbon nanotubes either for oxygen reduction and CRM-free or ultralow amount PGM catalysts for hydrogen oxidation. FUMATECH BWT GmbH (http://www.fumatech.com/) is part of BWT Group, one of the largest water treatment companies in Europe. FUMATECH was founded in 1993 and since 1997 belongs to the BWT group. Core business of the FUMATECH is the manufacturing of membranes and plants for water treatment, such as electrodialysis, electrodialysis with bipolar membranes, diffusion dialysis, electrodeionization, capacitive deionization, reverse electrodialysis and others. Besides these classical electrochemical systems FUMATECH’s second core activity is the development and production of membranes for energy applications, particularly hydrogen fuel cells, direct methanol fuel cells, water electrolysis and redox flow batteries, including the membranes for humidifier. Today FUMATECH employs approximately 30 staff members. The BWT (Best Water Technology) Group is Europe’s leading water technology company with 2,800 employees and a vast network of partner companies, service staff, installers, planners, architects and hygiene experts. Our R&D teams apply state-of-the-art methods and use the latest processes and materials to create products that are both economical and green. One of the key objectives is to reduce the resource and energy consumption levels of our products, resulting in a reduction in CO2 emissions. FUMATECH leads WP4 and will contribute with the development, preparation and characterisation of novel anion-exchange polymers and membranes, development, preparation and characterisation of novel bipolar membranes and scale-up of down-selected ionomer and membrane. The Technion-Israel Institute of Technology (http://www.technion.ac.il/) is Israel’s primary technological university and the country’s largest centre of fundamental and applied research. It is ranked among the leading technological universities in the world. The TECHNION has earned three Nobel prizes and has a worldwide reputation for its pioneering work in electronics, information technology, aerospace technologies, nano (bio) technology, materials engineering, etc. Within the C hemical Engineering department, great emphasis is placed on multidisciplinary research, which is carried out both within the department, and in collaboration with other scientific and technological departments. Research activities in Prof. Dekel’s TEEM lab on ionomeric materials for electrochemical energy devices place the Faculty of Chemical Engineering at a focal point in current global research. Technion contributes with the development and characterisation of a range of anion-exchange ionomers, anion-exchange membranes prepared from such ionomers, and with the preparation of bipolar membranes through the development of anion-exchange ionomers compatible with proton-exchange or amphoteric membranes. ITM Power (http://www.itm-power.com/) is an AIM-listed company incorporated, registered and operating in England. We have a first class team of engineers and scientists, based at two facilities in Sheffield, in the United Kingdom. ITM Power has both a strong base of intellectual property and engineering expertise. ITM Power designs and manufactures Hydrogen Energy Systems for Energy Storage and Clean Fuel production. As well as providing hydrogen plant for commercial sales, ITM has experience in all aspects of deploying and operating hydrogen systems. In the past three years ITM has been awarded planning permission in the UK for stations at 11 sites and has more applications pending. In 2015, ITM signed a strategic siting partnership with Shell for the delivery of three Hydrogen Refuelling Stations (HRS) in the UK. ITM has overseen the civil construction of hydrogen refuelling stations and gained in the field experience of the HSE Construction (Design and Management) regulations (CDM). ITM Power liaises with the local Fire Department when deploying a station. ITM own and operate hydrogen refuelling stations in the UK and signed a fuel contract with Toyota in October 2015. The price of hydrogen to all customers from ITM Power’s public refuelling stations is the lowest hydrogen price at any public refuelling station in the UK. ITM leads WP5, prepares electrodes via membrane coating and assembles and tests novel membrane-based electrolyzers developed in CREATE. ITM also contributes extensively to WP2 through life-cycle analysis and benchmark against the industry standard. EIfER Europäisches Institut für Energieforschung EDF-KIT EWIV (https://www.eifer.kit.edu/), referred to below as EIFER, is a European Economic Interest Grouping founded in 2001 by its two equal members: EDF (Électricité de France, France) and KIT (Karlsruhe Institute of Technology, Germany) in order to develop their scientific collaboration, notably through joint research projects applied to industrial issues. EIFER aims at creating values for its two members. Furthermore EIFER tests in practice, without intention to make profit, Energy Management (for instance through partnerships with towns and industrial concerns) and, within research partnerships with third parties, exchanges information to develop material (performance improvement and influence on the environment), in order to acquire new skills. EIFER is partner or coordinator in numerous Government and European-funded projects. Today EIFER employs approximately 110 staff members of different nationalities, with multi-disciplinary skills. EIFER’s activity is focused on strategic priorities to tackle the challenge of the energy transition. EIFER leads WP2 and contributes to WP2 with the definition of technical specifications, cost analysis of down-selected electrochemical cells designed in CREATE and their life-cycle analysis, contributes to WP5 with the testing of regenerative fuel cells operating in both fuel cell and electrolysis modes. University of Rome Tor Vergata (http://web.uniroma2.it/) is ranked first in Italy in Area 3 - Chemical Sciences according to the ANVUR Report on the Evaluation of the Quality of Research in Italy. It is placed in 9th place among the great universities and the first in South Central area. Furthermore it occupies the 38th place in the world in the QS World University Top 50 Under 50, 2013, dedicated to the universities that are less than 50 years old. 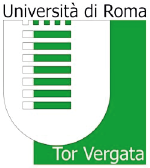 University of Rome Tor Vergata has 1362 academic researchers and ca. 40000 students. The team involved consists of researchers with competences in the areas of chemistry (organic synthesis, polymer functionalization, structure characterization) and engineering (characterization of materials). University of Rome Tor Vergata is involved in WP4 through the synthesis, development and characterization of amphoteric ionomers and membranes for bipolar membranes. 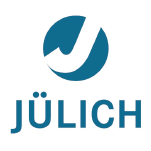 The main task of Forschungszentrum Jülich GmbH (http://www.fz-juelich.de/) is to conduct research to provide comprehensive solutions to the grand challenges facing society in the fields of energy and environment, information and brain research. The aim is to lay the foundation for the key technologies of tomorrow. JÜLICH is involved in WP3 with the application of high throughput electrochemical and online spectroscopic methods to identify active binary compositions for catalyzing hydrogen oxidation and hydrogen evolution and also to screen the structural stability of surfaces under operando conditions for all catalysts developed in CREATE. PRETEXO (http://www.pretexo.com) is a small company (EURL) created in 2007 by Dr Nathalie Cros. In collaborative projects, Pretexo has developed various activities to facilitate and improve information sharing, communication and dissemination between partners and towards the public. Pretexo proposes its skills in various fields such as administrative management, reporting, implementation and maintenance of dedicated project websites and internal project workspaces, and meeting organisation. Pretexo's assistance allows the coordinator and each partner to focus on scientific aspects of the project. 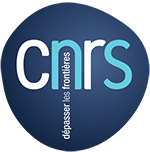 Pretexo is currently involved in administrative management and achievement of communication tools (web sites, internal workspaces, workshop organisations) of several European and French National Research Agency funded projects. Further, Pretexo provides complete organisational support for scientific international conferences. PRETEXO leads WP6 and will help in particular in disseminating the project's results, editing the progress reports and deliverables and will organize a workshop on anion-exchange-membrane or bipolar membrane fuel cells and electrolyzer. 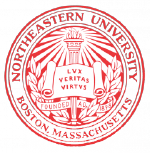 Northeastern University (https://www.northeastern.edu/), founded in 1898 is a private research university located in Boston, Massachusetts, USA and is categorized as tier 1 (R1, Doctoral Universities: Highest Research Activity) by the Carnegie Classification of Institutions of Higher Learning. The University offers both undergraduate and graduate programs leading to doctoral degrees in its main campus located in the Fenway-Backbay-Roxbury neighborhoods of Boston as well as advanced degrees at graduate campuses in Charlotte, North Carolina, Seattle, Washington, Silicon Valley, California and Toronto, Canada. The University has roughly 18,000 undergraduates and 7,000 graduate students. Northeastern features a cooperative education program that integrates classroom study with professional experience on seven continents and a comprehensive study abroad program. Northeastern University will contribute to WP3 with the in situ and operando X-ray absorption spectroscopy analysis of catalysts developed in CREATE, to elucidate the nature of active sites in operating conditions and to follow changes as a function of the electrochemical potential or as a function of time.